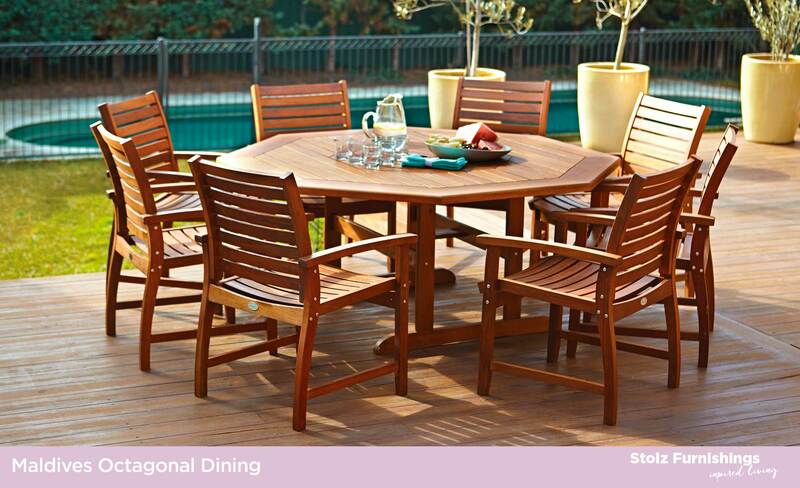 The Maldives outdoor range is made from Ironwood. Ironwood is one of the strongest timbers in the world. Durability – The heartwood resists the attack of fungi and insects, including termites and marine borers and it is rot resistant. The timber will change from a pale amber colour to a deep reddish brown colour that enhances the look of the product. The timber will look better with age. Ironwood will weather considerably better than Jarrah in all climates.